In October of 1965, Peter Sanders found himself at Lynch-Davidson Motors in Jacksonville, Florida. It was there where he would strike a deal for one brand new Shelby GT 350. 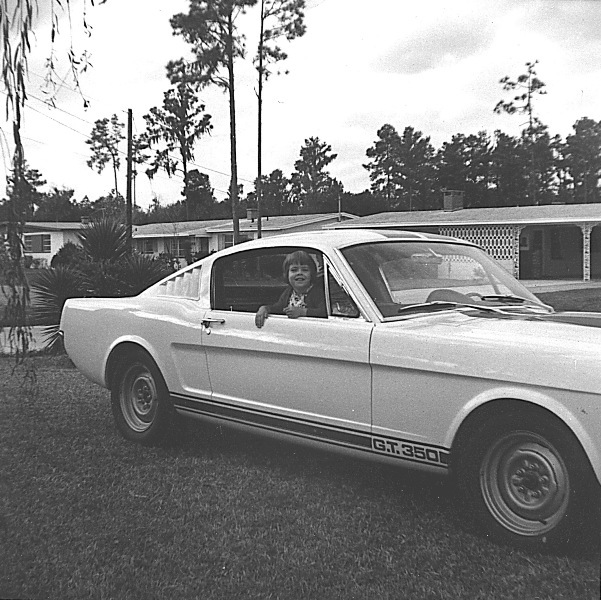 Peter enjoyed the GT 350 and so did his daughter, Deb. It was the family car for a number of years. The family used it to go to the beach, the grocery store and run errands. Deb's mother drove her to school in the car. Peter's family also used the car to drive back and forth on family vacations to the Adirondack mountains. The plain, steel wheels and the LeMans stripes made it look just like Carroll Shelby had intended, like a race car. Peter reportedly got good use out of that part of the car as well. He did his share of street racing and raced it at an old airfield where he routinely beat the Corvettes. Deb's mom used the car as her daily driver until it was stolen in January of 1973. It was recovered two weeks later. Several of the original parts were removed from the car and nver recovered. Apparently, the thieves had intended to part out the Shelby. Two years later, when the family moved to New York, they took the Shelby with them. The car was towed behind a U-Haul truck and packed with some of the family's belongings. In 1994 Deb's father returned to Florida and once again took the car with him. In 2004, the car was officially signed over to Deb. She towed the car back to New York for a second time. In 2010, the car was towed to Maryland. It was here Deb's 1965 took a road less traveled. 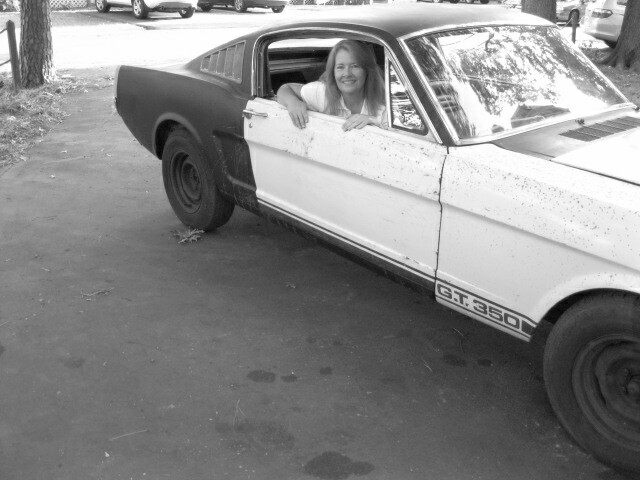 Usually, when people decide to get an old Shelby "running", they stand on the top of the slippery slope of restoration. Once you have taken your first steps on the slippery slope, the whole car becomes a labor of love and the full blown refurbishment is under way. But, Phil, Deb's good friend, had another idea. Phil's idea was to reassemble the GT 350 that had sat mostly idle for the better part of 40 years without a major overhaul and without a fancy paint job. Within two weeks, Phil had reassembled the loose parts and returned the car to running condition. A few rumblings were heard in the grapevine. Some people were upset that such a great car did not receive a "proper restoration". I for one am happy to see 5S545 returned to the road. The car is no less than an original, one family owned, GT 350 that is still being used. Not many people can say that. Best of all if someone ever wants to undertake a "proper restoration" they always have that option at a later date. The GT 350 attended it's first car show in 2010, where it won 3rd place out of eight 65's. It's been out to breakfast a few times and out for some nice drives. Phil and Deb even took the original GT 350 to pick up their Christmas tree. When's the last time anyone even seriously thought of that? A special thanks to both Phil and Deb for sharing their story. No matter which road you take, just remember one thing, it's just a vehicle to bring us happiness. I think Deb's smile makes it obvious she has made the right decision.